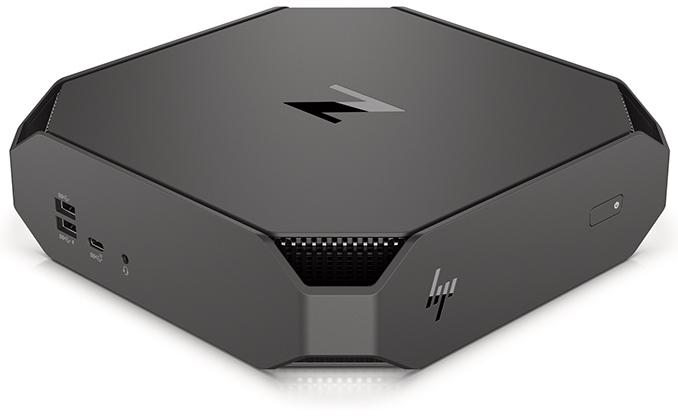 HP this week upgraded its miniature Z2 Mini workstation with the latest Intel’s Core and Xeon E processors with up to six cores as well as professional-grade graphics cards from AMD or NVIDIA. The HP Z2 Mini G4 machines sustained a very compact form-factor of the previous-gen Z2 Mini systems, but significantly improved performance over the models launched more than 1.5 years ago. The fourth-generation HP Z2 Mini workstations come in a black chassis made of a metal alloy and featuring a some plastic parts. The box measures 216×216×58 mm (8.5×8.5×2.28 inches), which is larger than consumer-grade Intel’s NUCs (and their derivatives from other brands), but is smaller than typical gaming systems with discrete GPUs. Miniature size is of course the main selling point of the HP Z2 Mini G4, but the fact that HP did not tradeoff performance for dimensions is no less important. 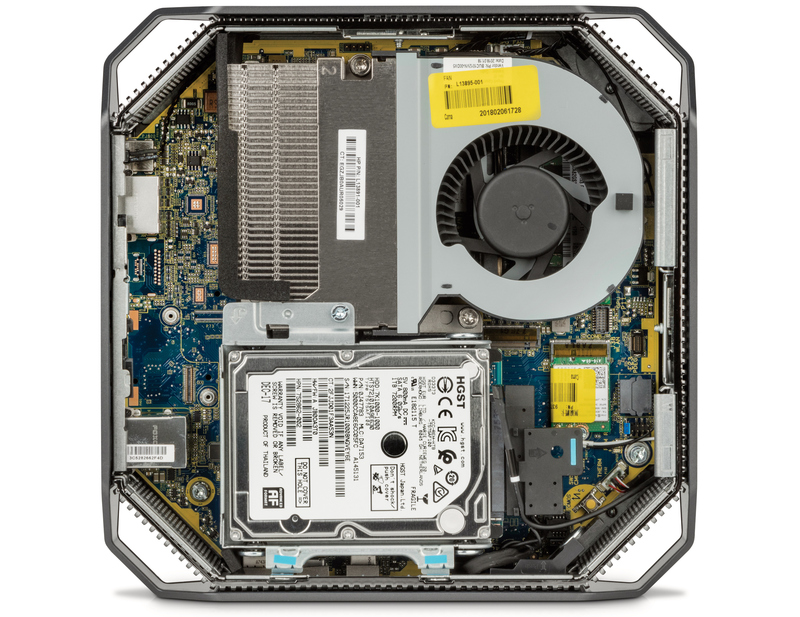 The HP Z2 Mini G4 relies on a custom Intel C246-based motherboard that supports Intel’s LGA1151 v2 CPUs, such as Intel Core or Intel Xeon E with up to four cores. Performance versions of the system supports discrete MXM graphics modules carrying AMD’s Radeon Pro WX 4150 GPUs with 4 GB of memory, or NVIDIA’s Quadro P600 or Quadro P1000 with 4 GB of GDDR5. By contrast, HP offered only one dGPU option with the previous-gen Z2 Mini G3. As for memory and storage, the HP Z2 Mini G4 has two SO-DIMM slots supporting up to 32 GB of DDR4-2667, one M.2 slot compatible with HP’s Z Turbo Drive G2 PCIe SSD (up to 1 TB), and a 2.5-inch bay for a SATA SSD or HDD. For entry-level configurations HP will offer a combination of Intel’s Optane Memory caching SSD as well as HGST’s 1 TB 7200-RPM HDD. Meanwhile, depending on the version and power consumption of exact configurations of the new SFF workstations from HP, the products will come equipped with 135 – 310 W external PSUs. Moving on to connectivity. The new HP Z2 Mini G4 has one GbE (Intel i219-LM) connector, 802.11ac Wi-Fi with Bluetooth 5.0 combo (enabled by the Intel Wireless-AC 9560 CNVi solution and featuring up to 1.73 Gbps throughput over 160 MHz channels), two or three DisplayPort 1.2 outputs (depending on the model), two USB 3.0 Type-A headers, two USB 3.1 Gen 2 Type-C ports, as well as audio input/output connectors. Like many other HP workstations, the HP Z2 Mini G4 will support the company’s Sure Start Gen4 and HP’s Sure Run technologies that keep critical processes running even when malware attempts to stop them. 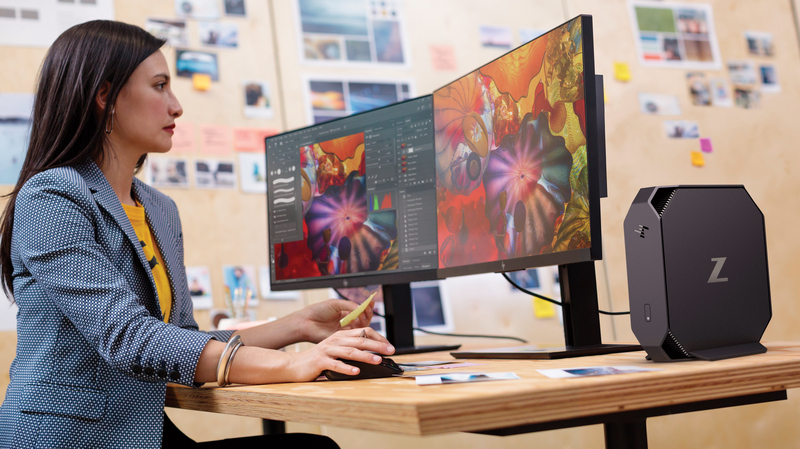 HP will start selling the fourth-generation Z2 Mini G4 workstations later this month. Entry level models without a discrete GPU will cost starting from $799, higher-end models will naturally be considerably more expensive. Replacing a PSU in a Mac Mini is exponentially more expensive and time consuming than replacing an ePSU. That's why you rarely see integrated PSU's in USFF enterprise PC's. Unfortunately, location of MXM isn't obvious at the photo.